Costa Mesa is the perfect blend of prosperous businesses, outstanding shopping centers, friendly neighborhoods and a breathtaking landscape. Residents benefit from one of the most desirable climates in the nation, as well as business-friendly communities that reach out to small companies and corporate America to further enhanced the local economy. Covering a total of 16 square miles, Costa Mesa is a mature city, rich in heritage and community spirit. The city is located 37 miles southeast of Los Angeles, 88 miles north of San Diego, and 475 miles south of San Francisco. With a diverse population of approximately 114,000, Costa Mesa is a vibrant city with rich history and culture. With its southernmost border only one mile from the Pacific Ocean, Costa Mesa is an ideal place to work and raise a family. Interest in this coastal city has increased in recent years, and the healthy real estate market continues to be successful. The community works at making affordable housing available for the local workforce with housing options available to a wide range of household incomes. An active lifestyle and an abundance of recreational opportunities helps maintain the good health and physical fitness of Costa Mesa residents. Costa Mesa is a unique Southern California getaway. 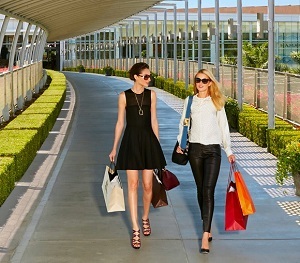 Experience world-class shopping at South Coast Plaza, indulge in sumptuous dining at top restaurants, enjoy award-winning Broadway productions and concerts at Segerstrom Center for the Arts, and relax at some of the top hotels in Orange County...just minutes from the beach. Costa Mesa is alive with the ARTS! Located within its boundaries are the world-class Orange County Performing Arts Center. Henry and Renee Segerstrom Concert Hall the Samueli Theater, the Tony Award-winning South Coast Repertory along with an eclectic collection of university, college, and civic theaters. Tucked quietly into the center of all of the action is the famed "California Scenario," a distinctive sculpture garden created by renowned sculptor Isamu Noguchi - and just perfect for a serene moment or two of reflection! Jan 48.5 F° 57.5 F° 66.5 F° 2.4 "
Feb 49.5 F° 58.0 F° 66.5 F° 3.1 "
Mar 51.0 F° 59.3 F° 67.5 F° 1.9 "
Apr 54.0 F° 61.5 F° 69.0 F° 0.8 "
May 57.5 F° 64.3 F° 71.0 F° 0.2 "
Jun 60.5 F° 66.8 F° 73.0 F° 0.1 "
Jul 63.5 F° 70.3 F° 77.0 F° 0.0 "
Aug 64.5 F° 71.5 F° 78.5 F° 0.0 "
Sep 63.0 F° 70.5 F° 78.0 F° 0.2 "
Oct 59.0 F° 67.0 F° 75.0 F° 0.5 "
Nov 52.5 F° 61.5 F° 70.5 F° 1.1 "
Dec 47.5 F° 56.8 F° 66.0 F° 2.0 "
Spring temperatures are cool with averages in the low 60's and highs in the upper 60's. Nights are cool with lows in the mid 50's. Summer temperatures are mild with averages in the upper 60's and highs in the mid 70's. Nights are cool with lows in the low 60's. Fall temperatures are mild with averages in the mid 60's and highs in the mid 70's. Nights are cool with lows in the upper 50's. Winter temperatures are cool with averages in the upper 50's and highs in the mid 60's. Nights are cold with lows in the upper 40's.